A gripping psychological thriller, taking the reader from 21st century Britain to the darkest days of war-torn Eastern Europe. A passion for history had already cost Helen Kovacs her marriage. Now she's paid with her life. Helen had told no one of her research into the Nazi occupation of Eastern Europe. Even her closest friend and colleague, Faith Lange, had no idea - until she began retracing the dead woman's steps. Though the police have a suspect in custody, Faith is convinced that the murderer is still at large. And she is troubled, too, by the presence of Jake Denbigh, a journalist who appears to be investigating her grandfather, Marek, a refugee from the Eastern front. Everything hinges on the memories of a 75-year-old whose will to survive preserved her through the horrors of Minsk and the concentration camps, and enabled her to make a new life in England with her son. "An intelligent, beautifully written thriller that interweaves modern British academe and Byelorussian war crimes with the dark truths embedded in Eastern European fold tradition. A fine, compelling novel." "A haunting legacy of war." 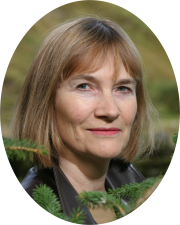 "Gripping, vivid and moving - an excellent mystery which combines the resonance and drama of the second world war with page turning suspense." 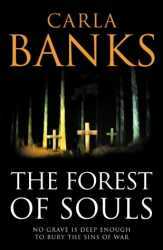 The Forest of Souls was originally published by HarperCollins in the UK on 7 March 2005, followed by the mass paperback edition on 6 March 2006. The Forest of Souls has been translated into German, as Wald der toten Seelen ; published by Rowohlt Taschenbuch Verlag in February 2006.